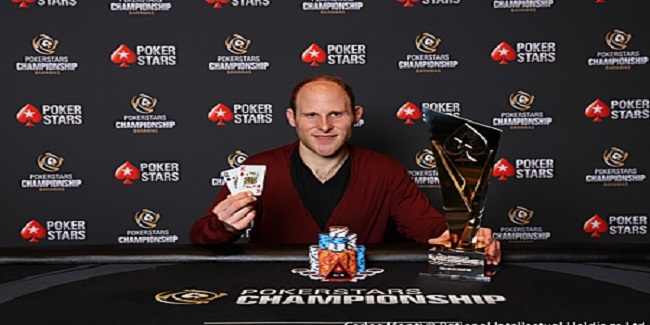 Luc Greenwood of Canada is the winner of $25k buy-in High Roller at PokerStars Championship Bahamas. 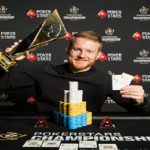 Greenwood pocketed the first prize of amount $779,268 from a two way heads-up deal and title of the championship, whereas UK’s Nick Petrangelo collected $740,032 being runner-up at the event. 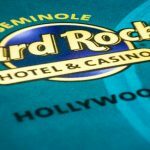 The $25,000 + $750 buy-in High Roller Tool place from January 12-14 at Bahamas, where it received 159 entries from players. 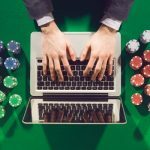 38 re-entrants were at the tournament and they generated a huge total prize pool of amount $3,975,000. The first player who hit the rail was Bryn Kenney of United States. 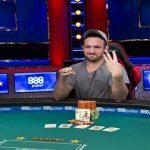 Kenney pocketed $90,380 from the tournament for his ninth place. 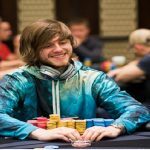 he was the winner of $50K High Roller previously. Canadian Mark Radoja was next to go. 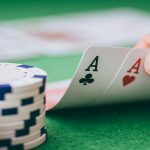 He booked for eighth position and made $113,360 from the tournament before getting busted from the table. Another UK poker champion Stephen Chidwick was looking good at the final table but not good enough as other opponents. Stephen Chidwick moves out for seventh place for a total winning share of amount $154,260. Nacho Barbero from Argentina made $208,400 from the game and booked at sixth place, while just after a few hands later a team PokerStars pro and an all time winner Daniel Negreanu of Canada hit the rail. 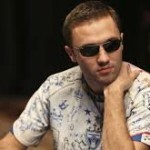 Negreanu was out at fifth position and pocketed $268,780 from the tournament. 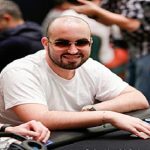 Byron Kaverman, another US based player busted from the table. 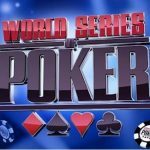 He moves out from the race of this High Roller Championship for a total winning share of amount $335,020. Michael Rocco collected $409,020 from the game for his third position. It means top two remaining players in the business were from Canada and United Kingdom and they were Nick Petrangelo and Luc Greenwood. 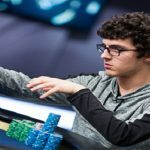 Heads-up started and Greenwood was ahead by Petrangelo 4.115 million to 3.835 million. Ultimately it was Luc Greenwood who did a great job by winning the title of the championship for a total $779,268. Luc and Sam Greenwood are twins and are professional poker players from Toronto, Canada.